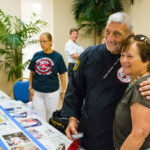 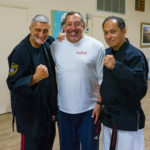 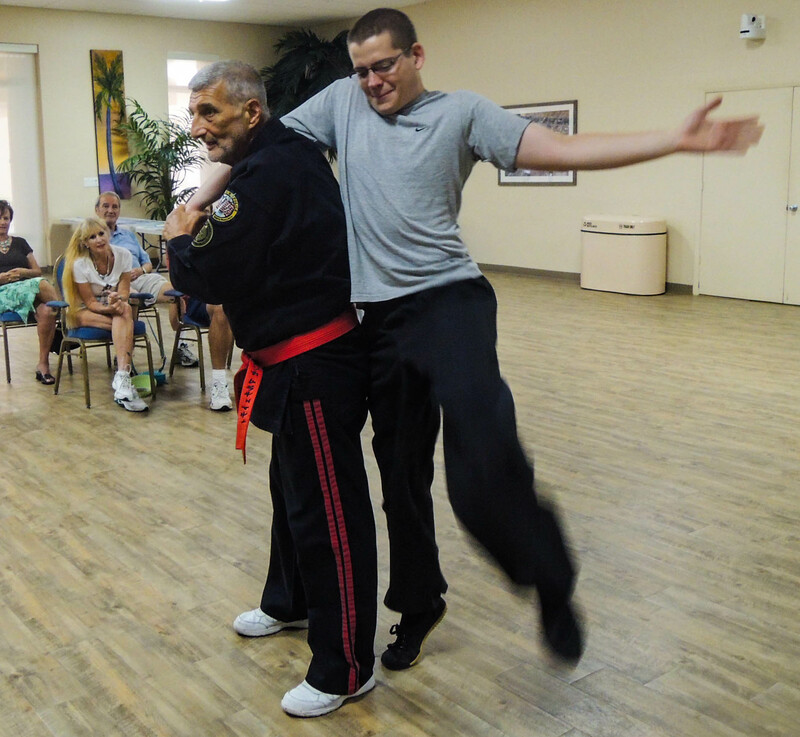 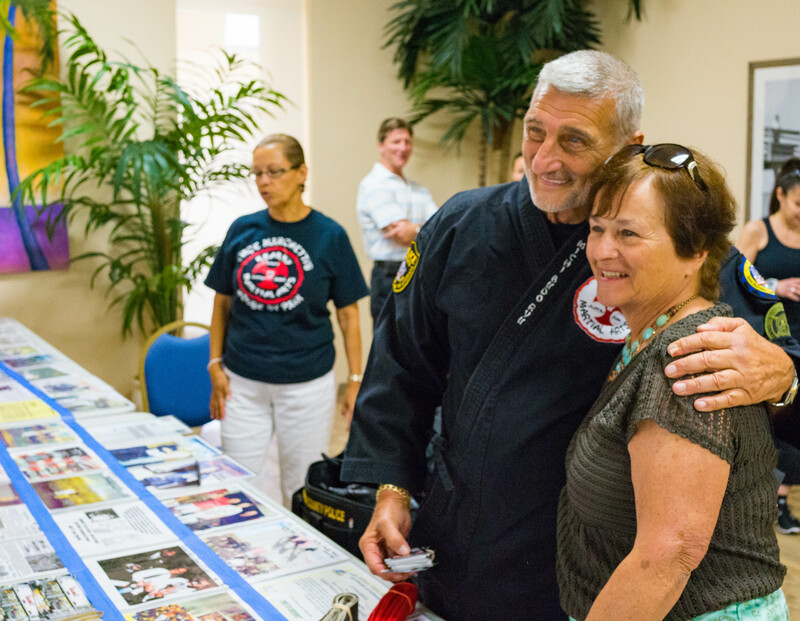 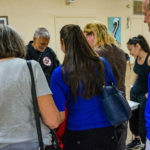 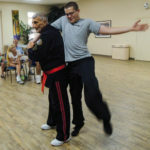 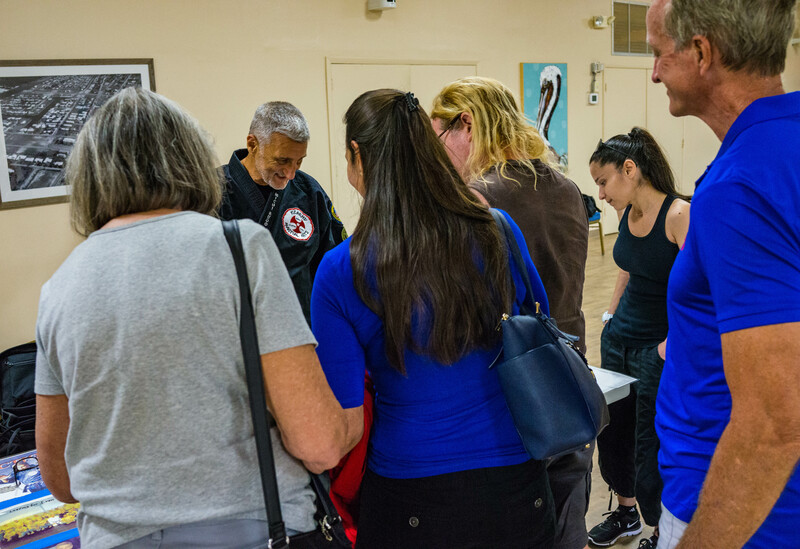 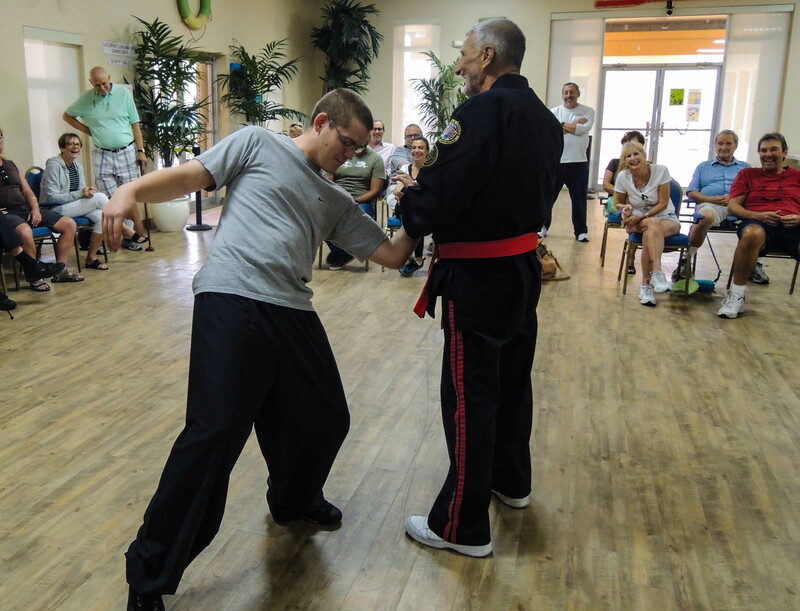 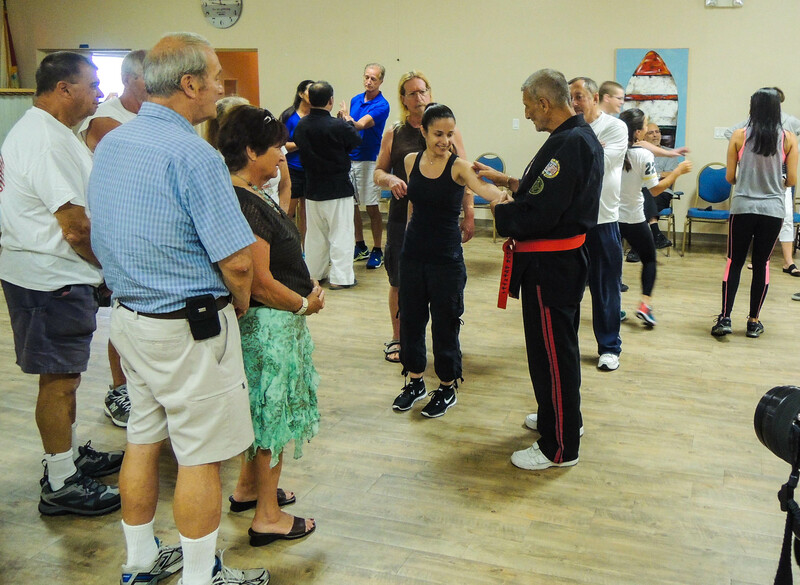 Grandmaster Marchetti recently conducted a free two hour self-defense seminar for the Lauderdale by the Sea community. 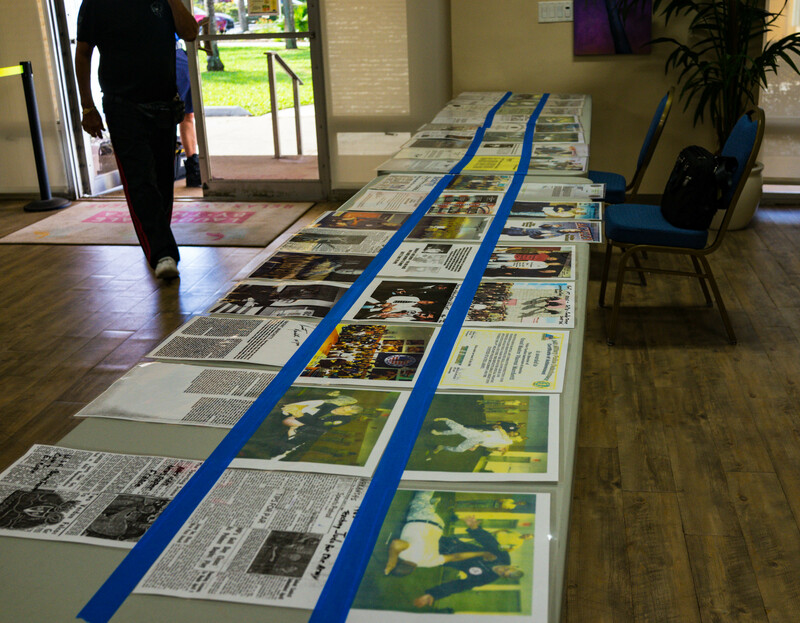 This event was requested by Mayor Scot Sasser and coordinated by his Public Information Officer, Steve D’Oliveira. Chief Instructor Joe Pung was also present to assist Grandmaster Marchetti during the seminar. 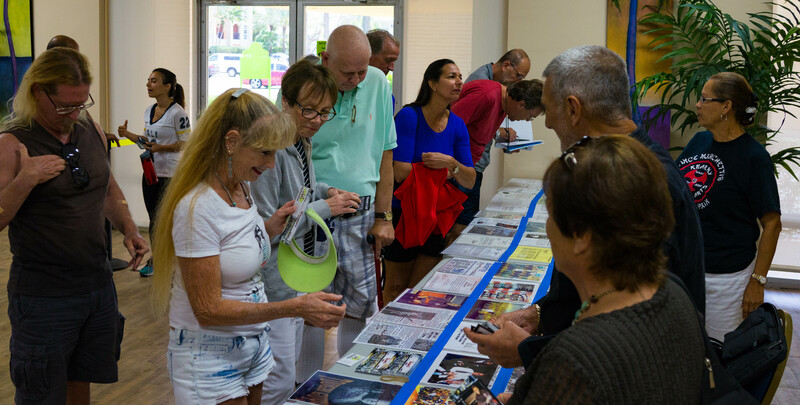 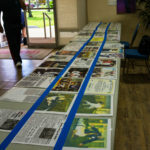 The town of Lauderdale by the Sea notified residents of the free seminar with several large banners displayed prominently at Town Hall as well as flyers posted throughout the town. 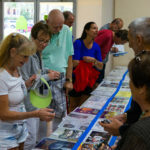 The event was held in the Town’s Cultural Center and was very well attended. 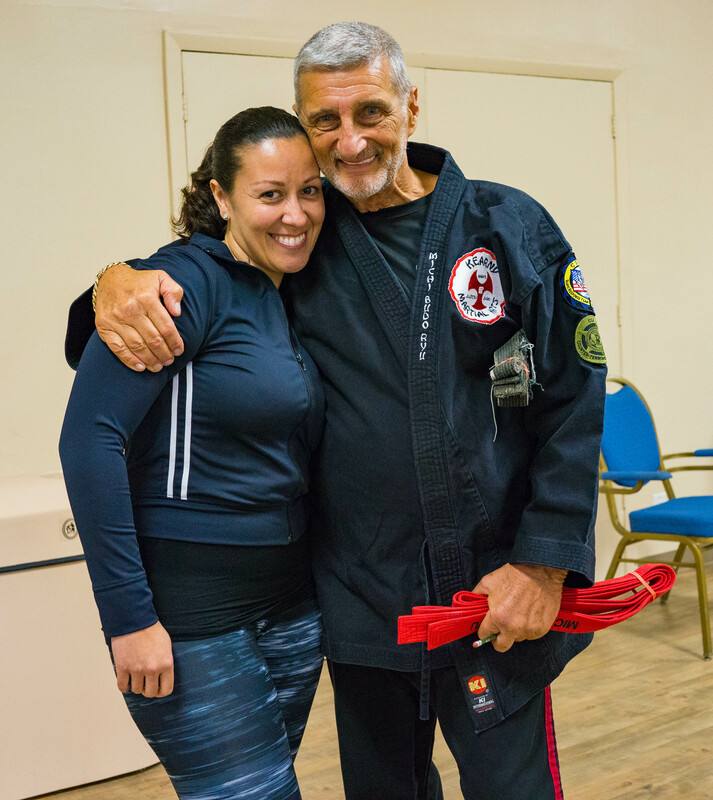 Its another example of Grandmaster Marchetti’s lifelong commitment to giving back to his country and his community. 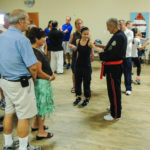 A hallmark of Grandmaster Marchetti’s instruction is his ability to connect with and adapt to his audience. 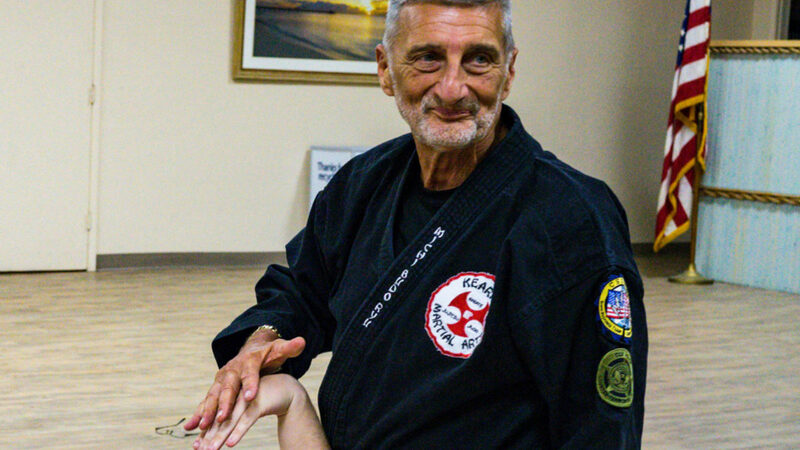 By skillfully mixing instruction with a wealth of personal stories and humor he can convey great amounts of information while maintaining a warm and fun atmosphere. 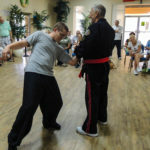 Even attendees with no previous martial arts experience are drawn to the precision of his instruction and become confident in the techniques presented. 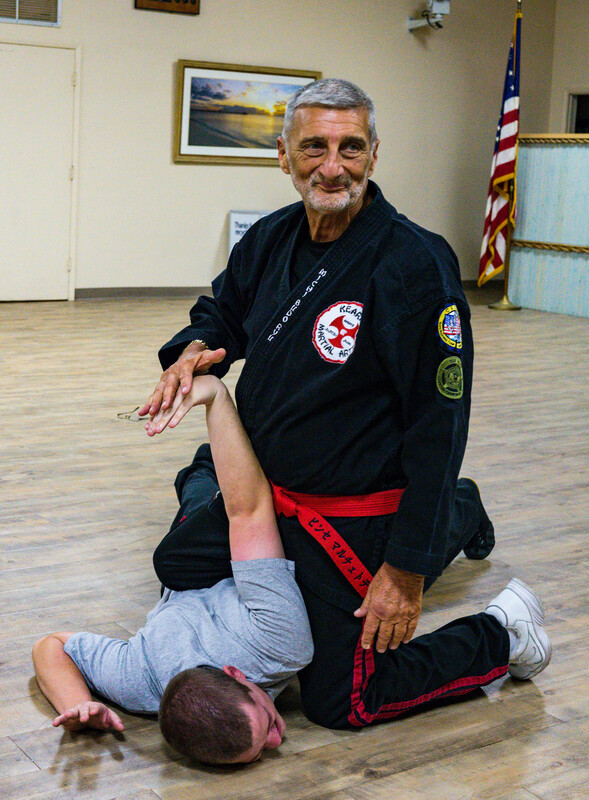 Grandmaster Marchetti progressed through several practical self-defense techniques and shared with the audience many tips for maintaining situational awareness. 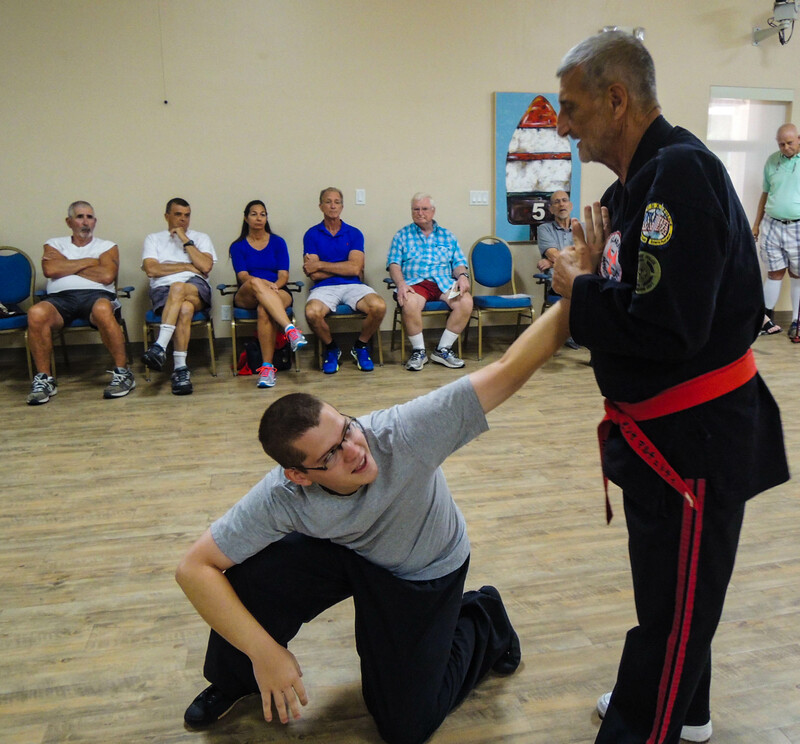 As in most KMA seminars there was ample hands on participation, practice and correction ensuring that students emerged with useful skills. 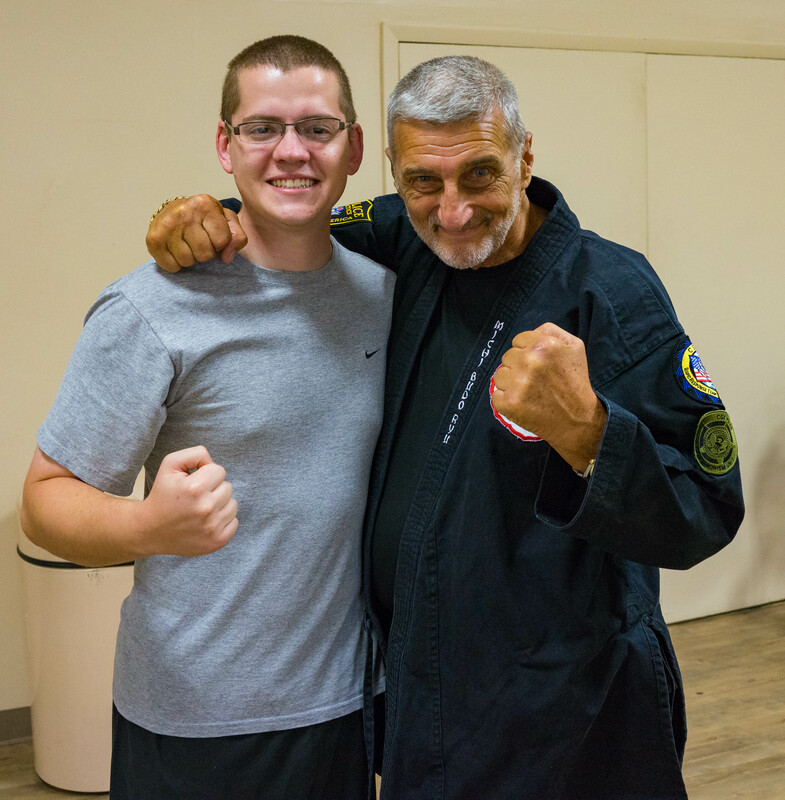 Enjoy the photos below and make sure you keep checking back for more news and information from Kearny Martial Arts!